IFJ is the only publication that provides a listing of all advertisers right at the contents page offering a catalogue – style ease of access to interested readers. The large – format, design-centric layout is a magnet for the highly erudite and sophisticated target reader i.e. the architect and designer community which is responsible for key buying decisions for builders, developers and affluent individual clientele. High quality visuals and beautifully laid out copy provide the right accent to invite readership, while highlighting the key products and advertising. International looks and format make IFJ the choice of the architect and designer community, while being a must-read in terms of subject matter and information. The well-structured segmentation of advertising and editorial accentuates the catalogue effect, making for easy usability and user friendliness for buyers and specifiers. Researched and wide-reaching information on products, projects and international trends offers insights and a powerful value-add to manufacturers as well as specifiers and builders who wish to keep abreast of the latest trends and soak up product and supplier information. IFJ is widely distributed both in India and abroad. 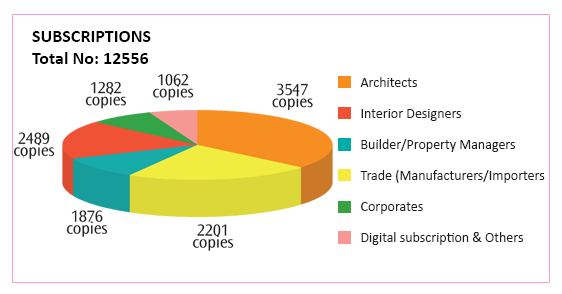 The power of the publication comes from the fact that it is placed on the desks of key decision-makers such as architects, designers, builders, manufacturers and corporate buyers… at no cost ! 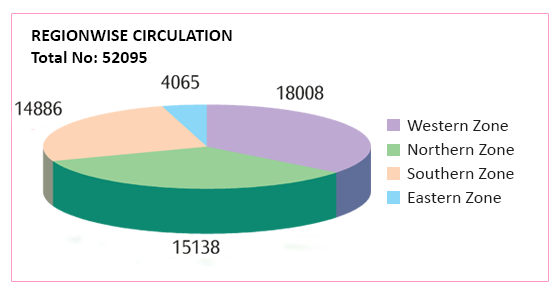 Using the powerful databases of the Universal Media Group, that have been built up and refined over the last 20 years, the IFJ circulation team distribute the magazine to the key segments detailed above, to provide maximum exposure to the valued advertisers and maximum reach to the publication. In addition, IFJ is now available for public purchase at premium bookstores Landmark and Crossword, over and above which, IFJ is placed at all the main Indian airports.